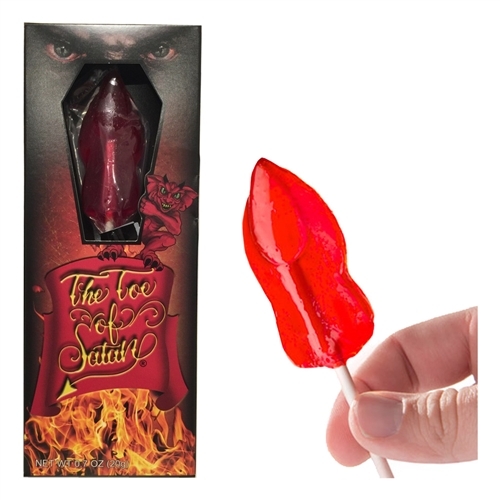 Made with 9 million Scoville unit chili extract, The Toe of Satan is quite possibly the hottest candy on the planet! It may even be one of the most difficult candies to make. This extract requires extreme caution,(and a little stupidity) to hand pour each lollipop. 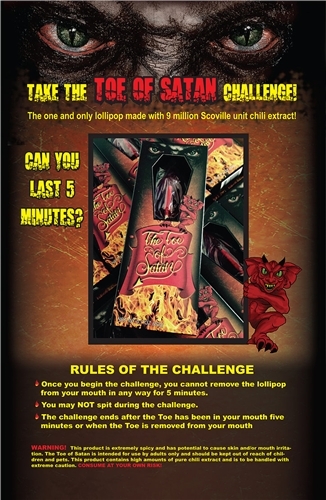 Don't forget take the Toe of Satan 5 Minute Challenge!